1. The Select Committee is to be congratulated on undertaking this inquiry. Concern has been mounting over recent months about the impact of current monetary policy. That concern has been expressed by a wide range of observers, including the Governor of the Reserve Bank himself (initially, in a speech in South America in 2006), the Minister of Finance, spokespeople for the major productive industries, and a substantial majority of those who usually comment on the performance of the New Zealand economy. It is entirely appropriate and opportune that the Select Committee should reflect the breadth and depth of this concern by conducting a full inquiry into the changes that might – and perhaps should – be made in the current policy stance. 2. The recent actions of the Reserve Bank in intervening in the foreign exchange markets show not only that the Governor has begun to look beyond his usual range of policy instruments but also demonstrate an increasing lack of confidence – both on his part and on that of others – in the efficacy of current monetary policy. As I will argue later, a high – not to say appreciating and over-valued – exchange rate has been an important element in current counter-inflationary policy; to intervene to restrain its rise is to counteract one of the main elements of the current strategy and to undermine one of its principal and intended impacts. 3. New Zealand has often been prepared to lead the world in challenging current orthodoxy. The recent expressions of concern and the holding of this inquiry suggest that we are again taking a lead – this time, in recognising the limitations of monetarist orthodoxy and actively seeking other policy options to supplement or in some cases replace some of the instruments of monetary policy. Where we now go, other countries may well follow. 4. In seeking those other options, it is important to recognise that all policy measures bring with them downsides and uncertainties. What is being sought is not perfection, but measures and a policy framework which will be more effective and less damaging and which will overcome – at least in part – the limitations and drawbacks of the current policy stance. 5. Monetarist theory suggests that monetary policy offers a painless, effective, and value-free method of controlling inflation. Inflation can only occur, so the theory says, if the quantity of money in the economy is allowed to increase. Inflation can therefore be controlled by controlling the growth in the money supply. The current monetary policy framework shows that our policy-makers have bought into this apparently simple proposition. Experience shows, however, that it is not as straightforward as it seems; it takes no account, for example, of differing rates of velocity of circulation or differing rates of demand for money, and it reflects an essentially static and often retrospective view of how the economy operates. 6. The real problems begin, however, when the attempt is made to control the money supply. It used to be thought that policy-makers could act directly on this issue – first, by defining money for policy purposes and then pursuing measures to control the quantity of money that was available. Money (and particularly those forms of money that owe their existence to the creation of credit) turned out, however, to be a slippery concept. It proved impossible to fix a definition of the money supply which would remain useful, since new forms of money that fall outside a given definition would inevitably develop. In the end, monetary policy no longer depends on defining money but rests rather on controlling the speed and direction of changes in the money supply by altering the price of money (however defined) through fixing interest rates. 7. Raising interest rates (which is the usual monetarist response to increasing inflationary pressures) is intended to restrain inflation by deterring borrowing through raising its cost. In principle, this should work, and in the past has done so, at least to some degree. There is also a second-order consequence of raising interest rates which is also intended to have a counter-inflationary effect. Higher domestic interest rates will – all things being equal – attract an inflow of short-term money (“hot money”) from overseas. That increased demand for the currency will raise its value (providing, incidentally, a further attraction to foreign investors); the higher currency will then further restrain inflation by restricting the profitability of economic activity at the margins, and – by reducing the price of imports – exercise a downward pressure on all prices in the internationally traded goods sector, both at home and overseas. 8. These counter-inflationary effects are predicted by monetarist theory to have little or no impact on the real (as opposed to the financial) economy. Any changes in the inflation rate or in the value of the currency brought about by monetary measures are assumed to have only a temporary or marginal effect on the real economy, which will rapidly adjust to the new conditions; and since it matters little to the real economy, policy-makers may as well choose a low or nil rate of inflation which – it is assumed – will encourage confidence and therefore investment. 9. The relatively simple business of fixing the price of money is said to be a technical task which can be safely entrusted to technicians (that is, bankers) who – unlike politicians – it is hoped can be relied on to make objective and non self-interested decisions about interest rates. Again, the current monetary policy framework shows that policy-makers are happy to comply with this simple view by entrusting the battle against inflation to a single official with a single goal and a single instrument for achieving it. The validity of this view is now very much open to question. Moreover, very few seem to have noticed that the consequence of this approach is that the major – indeed, only – macro-economic decisions are thereby removed from the democratic arena and are made by unaccountable officials. Very few, either, understand that the effect of excluding elected governments from macro-economic policy is to leave most important decisions to the market – and the global market at that – so that government intervention is precluded. Why Has Interest Rate Policy Done So Much Damage? 10. The comforting assumption that the real (or productive) economy is unaffected by high interest rates has been contradicted by experience. In the end, raising interest rates is just another way of deflating the economy, and all experience shows that deflation is inimical to growth, investment and productivity. In deflationary conditions, elements of production are by definition taken out of use. While out of use, they increasingly lose their value. Plant and equipment become obsolete, the unemployed lose skills, and market share is forfeited to competitors, never to be regained. Once the economy adjusts at a lower level of activity to the loss of those productive elements, further deflation will be needed to maintain the counter-inflationary effect – the very reverse of the virtuous cycle of growth and productivity that policy-makers seek. 11. The deliberately destructive effect of high interest rates is an essential element in the current counter-inflationary strategy. Its destructiveness is exacerbated by the fact that it is the only instrument available. The Governor of the Reserve Bank is given almost exclusive control over macro-economic policy but is allowed only one single indicator and goal – the inflation rate – and one single instrument – interest rates – for achieving that goal. Macro-economic policy is dangerously founded on an excessively narrow view of how and for what purpose it should operate, but its impact is damagingly wide. However obvious a particular inflationary factor might be, however narrowly and precisely its causes may be identified, the single crude instrument of interest rates is trundled out and has its destructive effect across the whole economy. So, a high rate of asset inflation in, let us say, the Auckland housing market will prompt an interest rate hike that depresses incomes and activity across the whole productive and wealth-creating sector. Why Is Using The Exchange Rate As A Counter-Inflationary Instrument Such A Bad Idea? 12. One deliberate counter-inflationary effect of higher interest rates, as we have seen, is to promote an appreciation in the value of the currency. The theory (particularly as developed by a school of economists called the International Monetarists) is that this provides the elusive “transmission mechanism” between controlling the money supply and bearing down on inflation, and that it does so by compelling domestic prices to fall in line with cheaper imports. 13. As with so much of monetarist theory, the reality is somewhat different. The use of the exchange rate to combat inflation means that it can no longer do its proper job of clearing the market at a price which will enable us to balance our trade and to develop our economy in ways which will encourage us to enlarge our areas of comparative advantage. And, although there will always be siren voices to say that cheap imports are a boon, that foreign travel is made cheaper, and that we should not try to compete on price, the damage to our productive economy from an over-valued exchange rate is now widely understood. Even so, the calamitous effect of the constant reality (and threat) of over-valuation is usually understated. 14. The exchange rate converts all domestic costs, including labour costs, into international prices. The immediate effect of a rise in the exchange rate is to raise all costs and to force those selling into international markets (including our own) either to hold prices stable (expressed in a foreign currency) and accept a consequent reduction in margins, or to maintain prices in New Zealand dollars and suffer a fall in market share. The most likely outcome is a combination of both. With declining profits as a result of lower margins and sales, the first impact is on the ability of the producer to pay wages, and invest in new capacity. In some cases, as we have seen, the squeeze is so acute that companies either fail or move offshore. 15. The second-order effect (on the assumption that the enterprise survives at all) is that the producer generates less income and is therefore less able to invest in new product development, buying new equipment, skill training of the workforce, developing new markets, after-sales service and so on – all those expensive elements that go to make up non-price competitiveness. The quality of New Zealand products falls behind those of other countries that do invest in these vital areas, making it even less possible for New Zealand producers to surmount the disadvantage of declining price-competitiveness – and all this, very often, against the background of ill-informed advice that they should not try to compete on price, but concentrate on quality! 16. In the long run, the constant or regularly recurring reality (and threat) of over-valuation of the currency is so harmful to investment and confidence that there is actually a change in the culture. As a country, we cease to be interested in making new wealth, because it is just too hard. We concentrate instead on manipulating existing wealth and on creating higher values in existing assets like housing. Our best brains go into the professions or domestic industries like retailing, where there is less threat from international competition, and shy away from the internationally traded sector, where the real prospects for growth lie. Anyone who does succeed in productive industry either goes overseas or sells the business to overseas owners. It is hard to think of a strategy that is more certain to frustrate the government’s stated goals of encouraging enterprise, investment and productivity. Why Are Interest Rates No Longer Effective To Control Inflation? 17. Much of the damage caused by monetary policy might be excused if it actually succeeded in controlling inflation. Increasingly, however, we are handicapping ourselves severely in terms of our international competitiveness in the interests of trying to control inflation with a blunt instrument that no longer works. Indeed, there are grounds for thinking that higher interest rates and a higher exchange rate might actually make inflation worse. 18. An obvious first point is that interest rates actually raise prices rather than lower them. It is assumed that higher interest rates will reduce economic activity (and prices) by making borrowing more expensive. But what if the higher costs produced by raising interest rates are simply absorbed into the cost and price structure, with the result that everyone goes on as before, but at a higher level of costs and prices and therefore of inflation? This is just what might be expected of an economy where price competitiveness has become a chimera, where wealth is made by manipulation rather than improved productivity, and where the emphasis is heavily and increasingly on consumption rather than investment. That seems to be, unfortunately, exactly our situation as a consequence of current policy settings. 19. This is particularly true of the housing market. Much has been made of the high proportion of homeowners with fixed interest mortgages. This may well be significant in explaining the short-term ineffectiveness of higher interest rates in damping down the housing market, but there may also be a somewhat longer-term effect. Homeowners have now lived with constantly rising interest rates for some time now, and the housing market has continued to boom. They are now enured to small interest rate increases, and believe that more expensive mortgages are just another cost increase which will be easily absorbed into the cost structure and will be offset by continued capital appreciation. Indeed, by increasing the replacement cost of existing housing, the effect of higher financing costs may well be inflationary. 20. In any case, what else are New Zealand investors to do, when the returns from productive industry are so uncertain and the housing market offers by far the best chance of a capital gain? It is little use lecturing them for failing to save. Economics is a behavioural science and people will respond to the economic realities they find. 21. One such economic reality is the constant invitation to spend and consume provided by a New Zealand dollar which currently buys 15% more than it should. Why should the consumer invest or save when over-valuation makes imports so cheap? Again, a government that urges a change in behaviour should look to its own role in setting the current pattern. Why Have We Persisted So Long With Failed Policies? 22. We now find ourselves in a policy cul-de-sac. The high interest rates that are our chosen instrument for controlling inflation are not doing the job but they are pushing up the value of the dollar. The over-valued currency and the consequent loss of competitiveness produce an unsustainable current account deficit – now at or near record levels. In order to finance that deficit (which is made worse by high interest payments to overseas lenders of “hot money” and by repatriated profits as more and more of New Zealand’s productive industry is sold overseas), we have to attract yet more short-term money. This requires even more excessively high interest rates which is where we started and which makes any further circuit of this particular vicious circle look like a counsel of despair. 23. Why, then, have we persisted so long with what is manifestly failing in its purpose and which could only have the desired effect at the expense of crippling what remains of our economy? The answer is that monetarism is a political doctrine rather than a prescription for effective economic policy. An illuminating light is cast on this issue in a paper written for the Reserve Bank by a leading American monetarist economist, Professor Laurence Ball, when he was a Visiting Fellow at Victoria University in 1996. In his paper, “A Proposal for the Next Macroeconomic Reform”, Professor Ball asks why we rely so much on monetary policy which is, he says (quoting Milton Friedman), notorious for the “long and variable lags” in its effects, and is poorly focused in that its adverse consequences are particularly felt by the productive sector. The answer he gives is instructive. The preference for monetary policy as opposed to other measures is not because it is effective, which it is not. It is that monetary policy has been handed over to officials who are immune to political pressures. Professor Ball seemed unconcerned about the undemocratic nature of this reasoning. 24. The foregoing recital of the deficiencies of the current monetary framework demonstrates the urgency of making a proper evaluation of other options. Our inquiry is into improvements that might be made rather than a search for perfection. A failure to find the ideal should not excuse us from settling for something better. There are several steps that could be taken to improve the efficacy of our counter-inflationary strategy and to do so while mitigating the worst of the adverse effects of current policy. 25. The most important step that could be taken is to widen the instruments available to policy-makers in their efforts to control inflation. Principal among these is the use of fiscal policy – taxation and public spending. 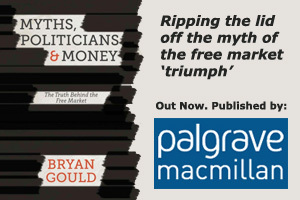 There is ample evidence that – as Professor Ball conceded in his 1996 study – fiscal policy is more effective than monetary policy as a counter-inflationary weapon. It is quicker-acting and more easily focused. For these reasons, it is able to deal directly with inflationary pressures without causing anything like as much collateral and unintended damage to the rest of the economy. 26. The argument is not that fiscal policy should replace monetary policy altogether. It is rather that fiscal policy should be used as an important supplement to monetary policy and that the two strands of policy should be properly integrated and made consistent with each other. The use of fiscal policy would mean that the excesses and inappropriateness of monetary measures could be mitigated. 27. The major argument against the use of fiscal measures – as Professor Ball pointed out – is not that they are ineffective but that past experience has shown that politicians cannot be relied upon to use them appropriately. They will, it is argued, defer a tightening of fiscal policy, or unwisely loosen it, if this suits the electoral timetable. This argument, it should be noted, can also apply to monetary policy. Politicians are not averse to escaping responsibility for dealing with inflation, by handing it over to officials, if that means that they will not then be blamed for the outcomes. Governments will usually welcome, too, some degree of exchange rate over-valuation, since it will produce a short-term “feel-good” factor by providing a temporary and unsustainable boost to living standards. This is a particular issue in New Zealand with its short election cycle. 28. The objection to the irresponsible use of, or failure to use, fiscal policy by politicians is in any case easily overcome. The provisions of the Fiscal Responsibility Act, by ensuring that fiscal policy is properly explained and debated both in Parliament and, as a consequence, in the media, already make it difficult for politicians to avoid their responsibilities. As a consequence, New Zealand governments have taken a very cautious approach to fiscal policy over recent years, and a decision to treat it as a more important counter-inflationary tool would very much heighten this parliamentary and public attention. The continued use of the Fiscal Responsibility Act very much removes the political objection to the use of fiscal policy and leaves us free to evaluate its use on purely economic grounds. 29. An increased number of available counter-inflationary instruments would have a further and very important and beneficial consequence. It would offer the opportunity to widen at the same time the objectives of macro-economic policy. The use of fiscal policy and other measures in addition to monetary policy would allow – indeed, virtually require – policy-makers to consider other economic goals as well as the single narrow goal of inflation. This would be a very important step forward. It would not mean that a lower priority should be given to inflation, but it would allow issues such as full employment, the level of public services, the competitiveness of our productive industries, – indeed, the whole range of macro-economic issues – to enter the policy picture. 30. With a wider range of counter-inflationary instruments available and a wider range of goals as the proper purposes of macro-economic policy, it would of course no longer be possible or even appropriate to hand responsibility for such policy over to a single unelected official. The Minister of Finance – in Parliament – would have to resume responsibility for macro-economic policy. This would not only be a considerable step forward in the effectiveness of the policy but it would also mean a major advance in restoring proper democratic control and debate over the most important decisions taken in the economic policy arena. 31. Once the decision was taken to end the dangerous reliance on monetary policy as the sole counter-inflationary instrument, the way would be clear to use other weapons and to target them for maximum effectiveness. What is clear is that the major inflationary factor in our current economic situation has been the rising level of bank lending, often made for the purposes of buying residential property; private sector credit has risen nearly sixfold over the past twenty years. Rather than disadvantage the whole economy in a vain attempt to deal with this problem, it would be more sensible to act directly on the issue by requiring the banks to tighten their levels of lending and the purposes for which they lend. This is not technically a difficult exercise. The banks would not like it but they cannot expect the rest of us to bear the burden for resolving a problem for which they are largely responsible. One of the advantages, incidentally, of an inquiry of this sort is the opportunity it provides to hear advice from sources other than the usual range of economists from the banking sector. 32. A further and related step would be to act directly on the housing market. A number of measures have been contemplated – a mortgage interest rate levy, a capital gains tax on second homes, changes to tax relief in respect of properties bought to let – and, while all have their disadvantages and of course their opponents, it is not beyond the wit of policymakers to identify measures that would – perhaps even if applied only in the short term – take the heat out of an overheated housing market. This would “knock the top off” the inflation problem – again, without burdening the rest of the economy unduly. 33. Much has been made of the failure of New Zealanders to save, and particularly to invest in the New Zealand economy. As suggested above, this behaviour is no more than should be expected from the current policy settings. New Zealanders are provided with every incentive to spend, particularly on imports and on housing, but with little reason to save and invest. A scheme such as KiwiSaver is very much to be welcomed, in that it promises to remove some of the spending power from the economy in the short term (thereby fulfilling some of the purposes of a tightening of fiscal policy) and it also offers the possibility of increased investment in the New Zealand economy; its effectiveness, however, would be greatly extended if it was working with the grain of economic policy rather than against it. The changes to macro-economic policy suggested above would greatly increase the efficacy of KiwiSaver and similar schemes. 34. An increased emphasis on macro-economic policy, as recommended here, would allow a significant change in the general approach to inflation and other economic issues. Monetarist theory takes an essentially static view of a given economy. It assumes that each economy has a naturally occurring requirement for money and that any increase in the money supply above that level must be inflationary. The emphasis (in theory, if not in practice), is therefore always on restriction. Little account is taken of the propensity to grow and expand (and therefore to require more money) which efficient economies constantly demonstrate. This is surely selling short the power of a market-based economy to improve its performance under the right macro-economic conditions and demonstrates a priority given to the interests of asset-holders as opposed to new wealth creators. Supporters of monetarism as an economic policy doctrine may be surprised to hear that they demonstrate no faith in the dynamism of the market, but that is the reality of our current situation. 35. An economy where credit for investment (as opposed to consumption and housing) was relatively inexpensive and available, where the exchange rate was monitored to preserve and improve competitiveness, and where incentives were provided for investment and productivity gains, would be one which not only freed itself from many of the current burdens (including the ticking time bomb of an unsustainable current account deficit) but which optimised its counter-inflationary strategy by encouraging growth, investment and efficiency gains and thereby garnered the benefits to inflation of falling unit costs – the very reverse of the deflationary orientation of current policy. To put the same point a different way, an economy which was encouraged by the macro-economic context to deploy its creative energy in expanding capacity, improving productivity and increasing export competitiveness would help to avoid the build-up of the inflationary pressures we currently suffer in our constrained domestic economy. 36. Domestic policy along these lines could be accompanied by lending support to international action to damp down exchange rate volatility (which has been at least as damaging to the New Zealand economy as the much-lambasted “stop-go” cycle of demand management policy) and to require more responsible international investment. There is an increasing level of international support for such action, and no shortage of proposals, from people as diverse as Joseph Stiglitz, George Soros and Paul Krugman. New Zealand, which has taken greater risks than any other advanced country in throwing itself upon the mercy of an international free-for-all, would have much to gain if international currency and investment markets operated on a more structured and less volatile basis. 37. We should not doubt that this inquiry and the concerns that prompted it signal an end to the simple certainties that interest rates are the only instrument we need to control inflation, that this is the only purpose of macro-economic policy and that the task should be the sole prerogative of an unelected official. We have much to gain from establishing a wider base for macro-economic policy, with a wider range of goals and a wider range of instruments. This short paper can do little more than sketch out some of the possibilities if we once have the courage to challenge current orthodoxy. The deficiencies of that orthodoxy are now all too apparent. We should no longer close our minds to those other possibilities. I hope to have provided a few signposts to some of the ways forward.